Diffuse Pollution Prevention at Langholme and Foudry Becks. 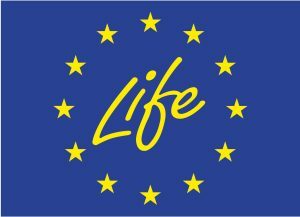 The aim of the project is to improve water quality, habitat and biodiversity in the catchment so diffuse pollution prevention plays a key role. 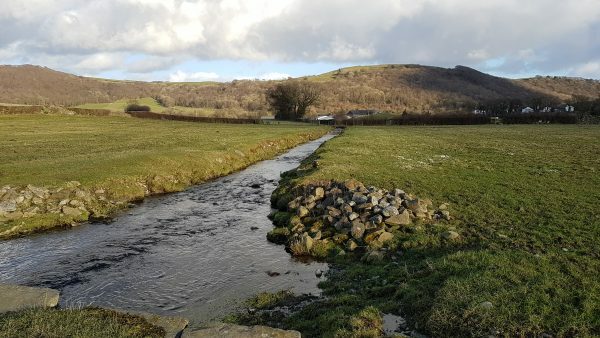 Diffuse pollution simply put, is pollution (including sediments and nutrients), usually from fertilisers and livestock, running off the land and into watercourses, negatively impacting on the freshwater invertebrate population as well as salmon, trout and eel populations. 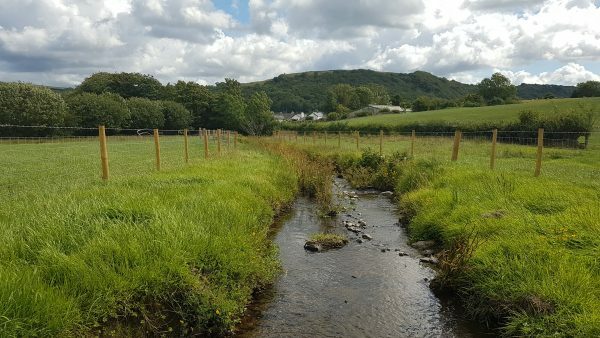 With support from the EU LIFE Natural Course programme, the Conserving Coniston & Crake project, working closely with the landowner, carried out measures to help address this issue along sections of Langholme and Foudry becks. Both becks flow through agricultural fields, grazed by livestock and managed for silage crop growing. Livestock poaching into the becks occurred at numerous locations, resulting in excessive silt and sediment input and some bank erosion. 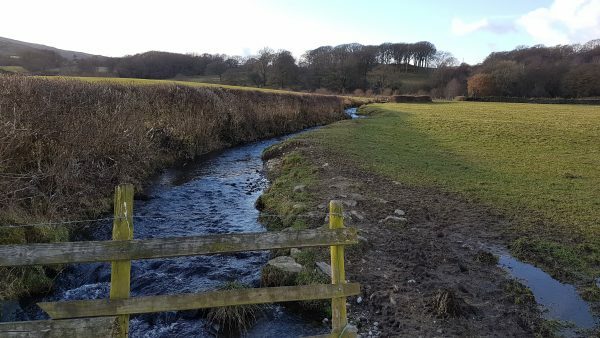 Additionally, the fields were fertilised through slurry spreading to promote grass growth for silage cropping resulting in nutrient runoff into the becks. One of the most straightforward solutions to this was to fence off the becks. Fencing has many benefits in addition to just preventing livestock from entering the watercourse. Bank erosion and sediment inputs will be reduced, riparian buffer strips are created, with the improved vegetation acting as sediment traps and better soil structure aids filtration of run-off water. As a result aquatic species will benefit hugely – less sediment will be better for fish spawning beds and freshwater invertebrates will thrive. The improved vegetation within the buffer strips themselves will also benefit a wider range of wildlife including bees, butterflies, birds and small mammals. Approximately 2500m sq of riparian buffer strip created through just over 800m of fencing. 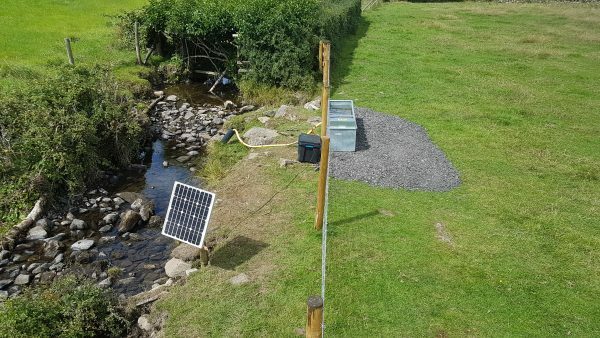 The farmer also benefits from this work as firstly it helps with continued compliance of the Farming Rules for Water, secondly stock health can improve (less incidents from being in the beck) and thirdly stock management can be made easier. Solar powered water troughs were also installed by the project to provide water for the livestock. Soil penetrometer analysis – this process will measure soil compaction and structure within trial pits dug into the field and the riparian strip to assess improvement. Soil surface percolation analysis – a secondary measure of soil compaction focused around the top layers of soil. This analysis comprises water draw-down rates within a cylinder inserted into the soil profile. In channel sediment traps – although simple this method may be able to help quantify the amount of sediment entering the water course before and after installation of fencing and development of riparian vegetation. However, this approach can be highly subject to environmental changes such as storm events or stochastic events on the land. General buffer strip surveys to record plants, invertebrates and mammals.